Each year the NBA welcomes a new crop of players from the collegiate level who only deepen the talent pool of the league. With so many players taking the “one-and-done” route in college, it has lowered the ages of players entering the professional ranks to 19 years old. This has led to many hits and misses along the way, with players either jumping to the NBA too soon or unable to fulfill their high expectations as top draft picks. 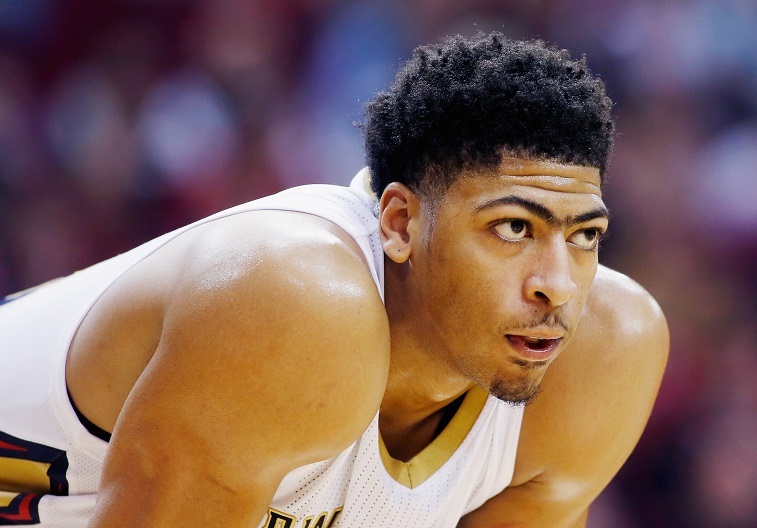 This list ranks the top five players under 25 years old who currently play in the NBA. There are several notable players who missed the cut, such as Damian Lillard, Kenneth Faried, Gordon Hayward, DeMarcus Cousins, Kemba Walker, Blake Griffin, and Jimmy Butler. That said, there is still a talented group of players in the league under 25 years old. Here are the top five in this category. Giannis Antetokounmpo, or “The Greek Freak,” has continued to gain national recognition entering his third season in the league with the Milwaukee Bucks. As a multifaceted player who is a factor on both ends of the floor, Antetokounmpo only continues to grow — literally and figuratively. He is two inches taller since he entered the league, standing at 6-feet-11-inches tall with a 7-foot-3-inch wingspan. He also possesses top-level athleticism and is quite agile for a player his size. His unique size and athleticism makes it extremely difficult to stop him on finishes at the rim or alley-oops. What is most impressive about Antetokounmpo is that he continues to improve in all areas of his game. As a work in progress shooting from outside — his 3-point shot specifically — he’s had a strong start this season, hitting 57.3% of shots from the field, including 45.5% (5-of-11) from beyond the arc in the first six games played. If he stays on the same path and becomes more of a consistent shooter from the outside, he will be one of toughest covers in the league who could be comparable to six-time All-Star Kevin Durant. 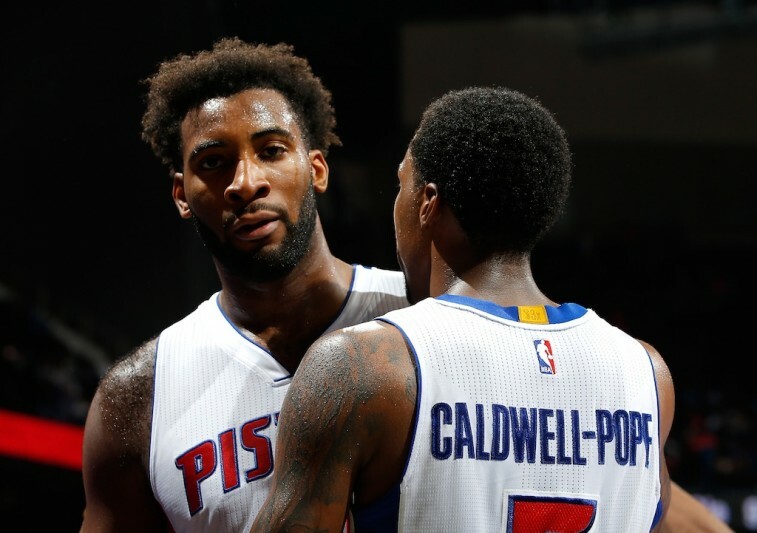 When the Detroit Pistons selected Andre Drummond as the ninth overall pick in the 2012 NBA draft, he was highly regarded as a player with a high ceiling of potential — who needed time to develop his raw offensive skill set. Although he is still a work in progress, Drummond has taken a significant leap in his overall game over the last two seasons, becoming one of the best rebounders and defenders at his position in the league. 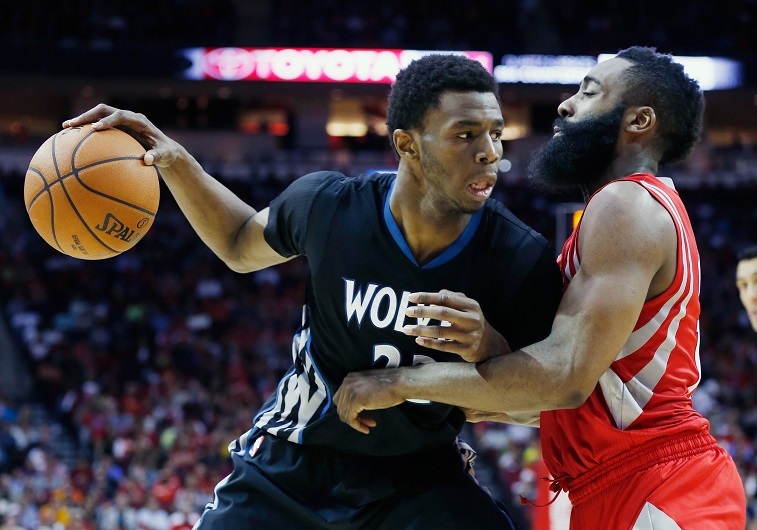 His development is similar to that of Houston Rockets center Dwight Howard. The Pistons’ big man is quite effective in pick-and-roll situations with the ability to finish layups or dunks through contact. He is also a major factor on the offensive rebounds, averaging five-plus boards per game, which often results in putback buckets. The 22-year-old is already off to a phenomenal start for the 2015-16 season, averaging over 19 points and 19 rebounds per game. He also made NBA history along the way, joining Wilt Chamberlain and Kareem Abdul-Jabbar as the only players to record three 20-point/20-rebound games in their first six games of a season. Drummond is without a doubt a rising star for the Pistons, and if he keeps developing, he will be a contender as the best center in the league for the next decade. In just his second year in the league with the Minnesota Timberwolves, Andrew Wiggins has already made headway as one of the league’s top young players. Hype surrounded him throughout high school and his one season at Kansas as a player who has possibly franchise-changing talent. 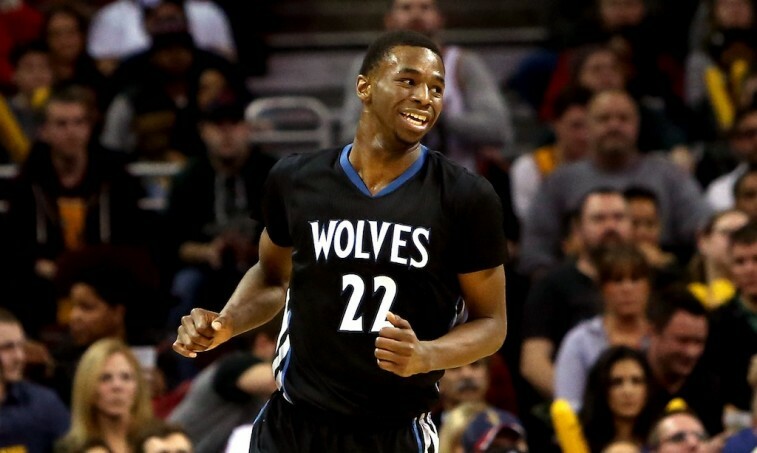 In his rookie year, Wiggins showed promise offensively shooting from the outside and creating his shot off the dribble. He displayed continual development in his offensive skill set throughout his rookie campaign, scoring on opposing players in a variety of ways. He is also an above-average player defensively, who has the size and athleticism to effectively guard players at both the guard and forward positions. What’s most enticing about Wiggins is that he has already become a rising star after just one season in the league, and there is still so much room for him to get better. He needs to become a more consistent shooter and add more weight, but with his steady development he may become one of the league’s best players. Since he was drafted with the first overall pick by the Cleveland Cavaliers in the 2011 NBA draft, Kyrie Irving has been an offensive force, averaging 21.0 points through his first four seasons of his career. What’s often lost in the discussion is just how young he is. Combined with his impeccable ball-handling skills, this has made him an extremely difficult cover for opponents to handle one-on-one. 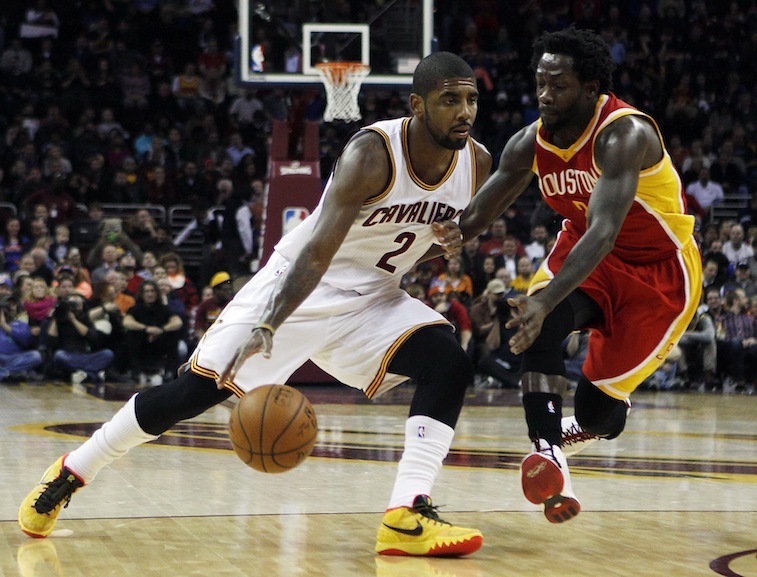 Irving has the ability to get the rim at will off the dribble and finish through contact. He can also knock down step-back or pull-up jumpers’ shots from the outside with consistency. Irving has become one of the better shooters in the league, and a marksman from the three-point range. However, his one flaw in his overall game is his rather suspect defense at times and his struggle to stay healthy for an entire season. He is currently still recovering from a knee injury, but there shouldn’t be much of a drop in his production or physical ability when he does return. The three-time All-Star is one of the NBA’s most talented offensive players and brightest young stars. Every so often a generational player comes across the NBA, and the New Orleans Pelicans’ big man certainly fits that mold. Davis entered the league with elite-level talent defensively as a shot blocker, rebounder, and defender at his position. Over the last couple seasons, he has begun to develop an offensive game that’s consistent of a mid-range jumper, low-post moves, and finishing strong around the rim. He is also quite agile for his size at 6-foot-10-inches, which allows him to be an effective player in transition. The two-time All-Star’s sudden leap has thrust him into the conversation of best players in the league — the one player aside from LeBron James that a NBA team would build their franchise around for the next decade. Davis has already earned respect from many players around the league, and it’s for a reason: He is the future face of the NBA.